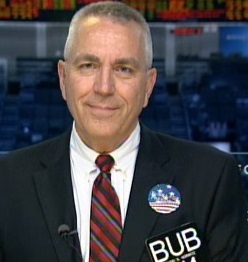 Editor's Note: Veteran trader Todd "Bubba" Horwitz will be bringing his insights and tell-it-like it is attitude to Kitco News every morning as part of a guest series on kitco.com. Wake up to Bubba and get what you need for your metal mornings! (Kitco News) - Watching markets, you would think they stole something, they refuse to move in either direction as they tighten in consolidation. Gold is trading on both sides of 1225 which seems to be a key level and silver has been in a coma for 6 days. This pattern has been consistent across all asset classes and volatility has left the building. Gold, silver, and other commodities appear to be the best values and asset classes to be looking at now. Equity markets have no fear and everyone knows they can only go higher making the best investments in the alternatives because the one thing we know for sure is THIS TIME IS NOT DIFFERENT.